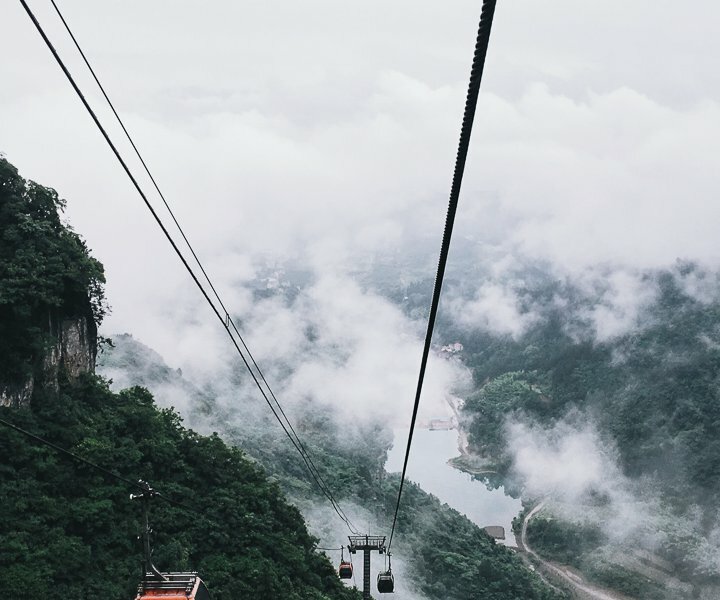 Hop a cable car and see the landscape from above Tianmen Mountains. All photos by Vivien Liu. Admiring the spectcular views from a funicular in the Chinese countryside. Vivien Liu snaps away. 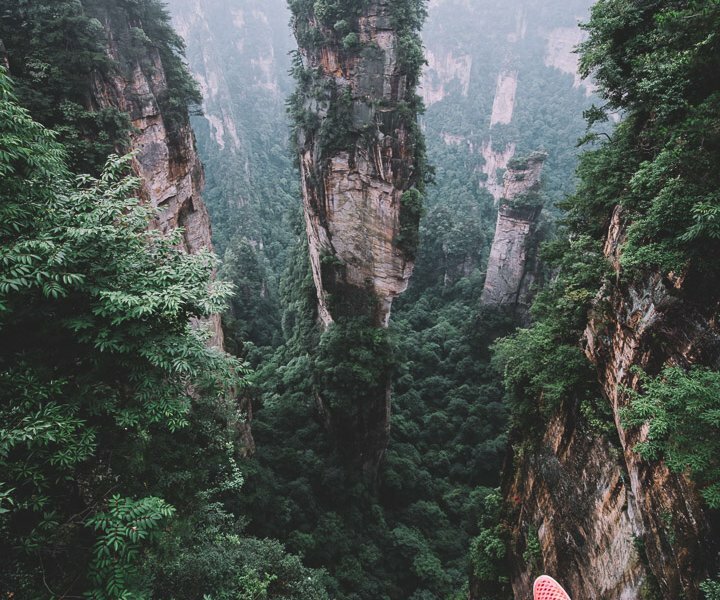 ZHANGJIAJIE, China – I'm always on a quest to visit new places and share my experiences through photography — for myself. 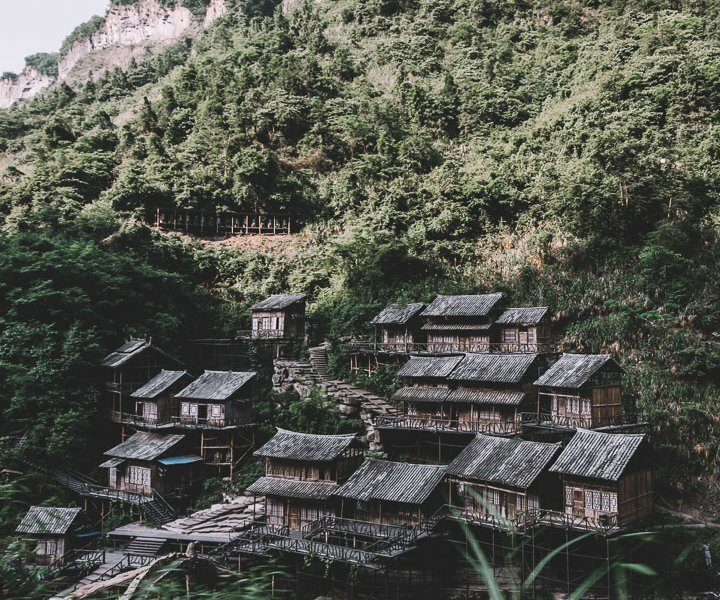 I have seen very little of the landscapes in China and I feel that for many people out there, the country is primarily known for rapid urbanization, economical growth, and rampant industrialization. Metropolises in the east like Shanghai and Beijing come to mind before the natural beauty of the more rural west. So, along with a few friends, I set an agenda to try to visit the national parks and scenic landscapes of China. 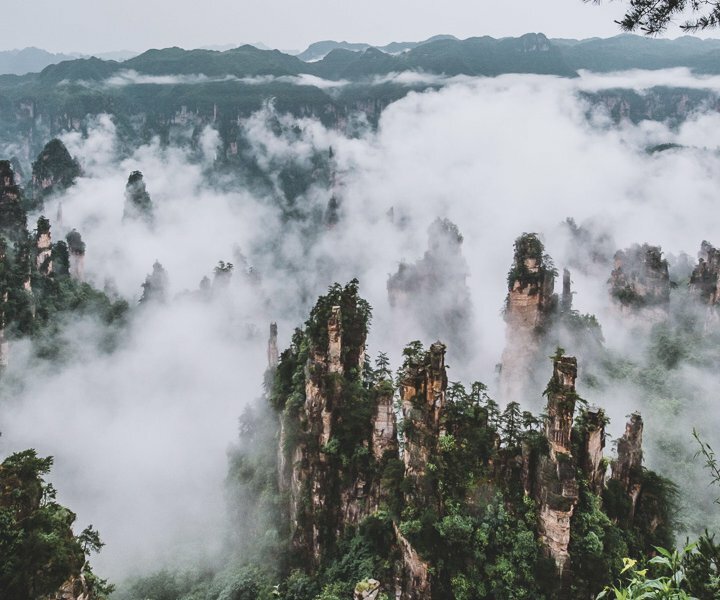 Zhangjiajie was first on the list because of its unique, extreme natural beauty and relative proximity to Hong Kong, which is where I'm based. I hope I am able to show people around the world a more picturesque, less industrial side of China through these photos. 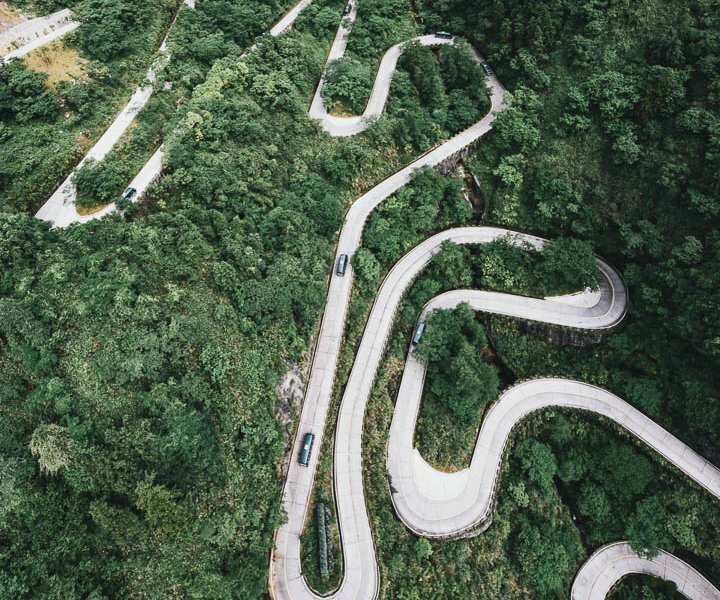 Get a taste of those views and hairpin turns. 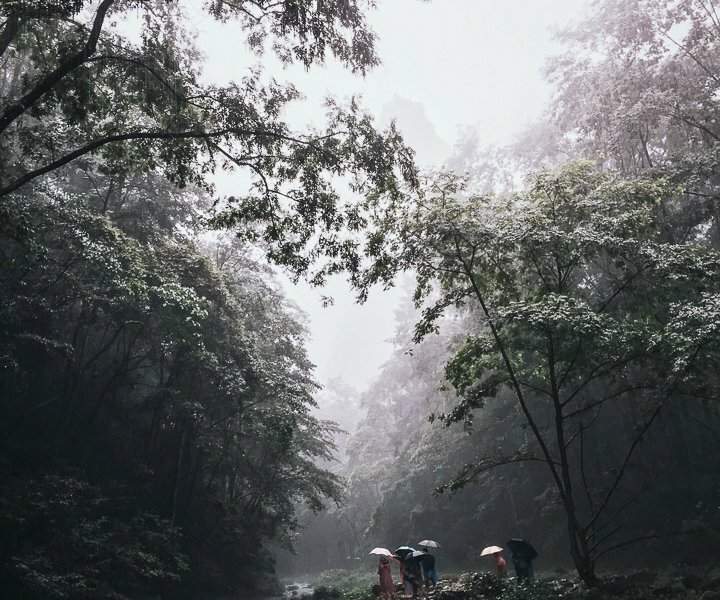 Here is a atmospheric shot in the rain along the Golden Whip Stream, a 5.7 km river that meanders through the Zhangjiajie National Park, China. 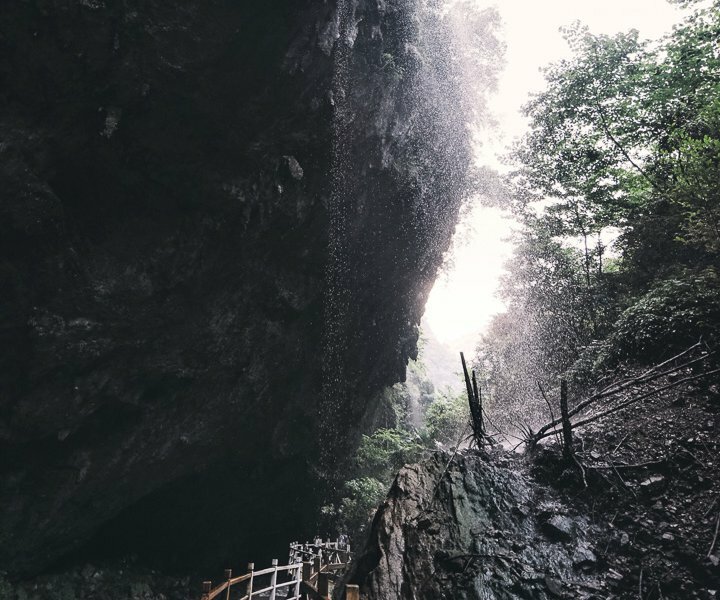 Narrow caves and caverns are not uncommon along the scenic route at the Zhangjiajie Grand Canyon. 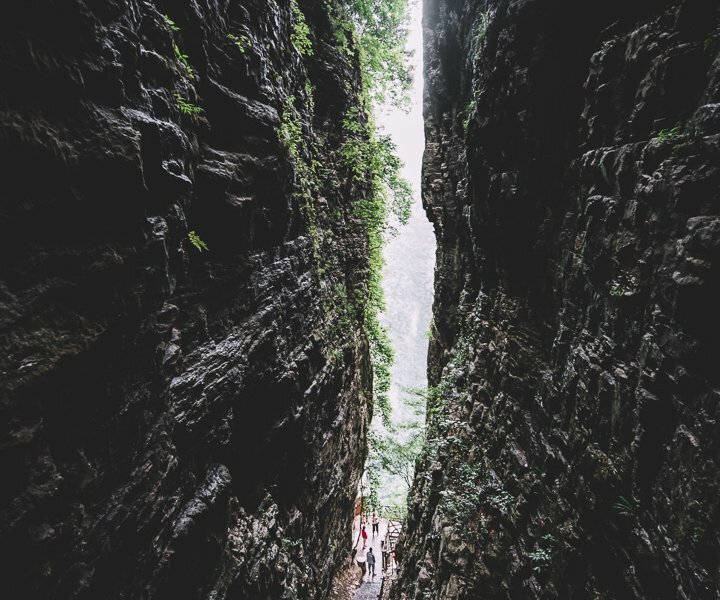 One of the narrowest points along accessible paths that descend into the Zhangjiajie Grand Canyon, China. 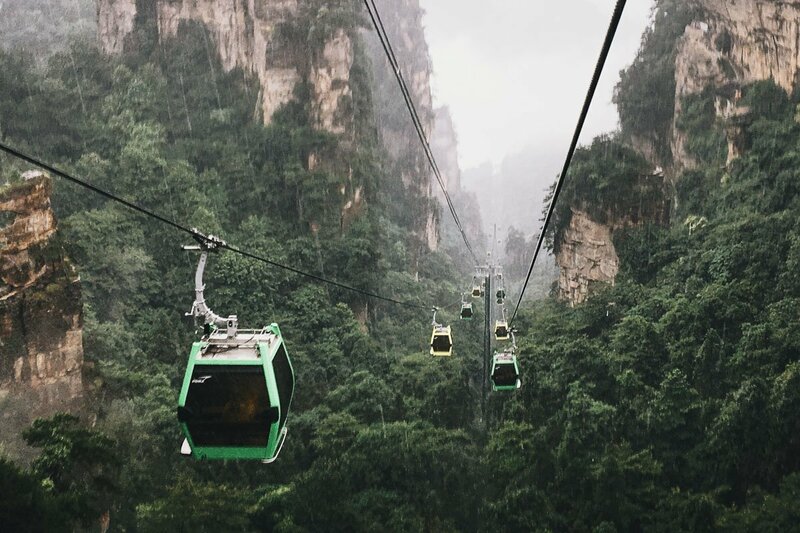 The view of the Tianzi Mountain cable cars that travel to the plateau of Zhangjiajie National Park. 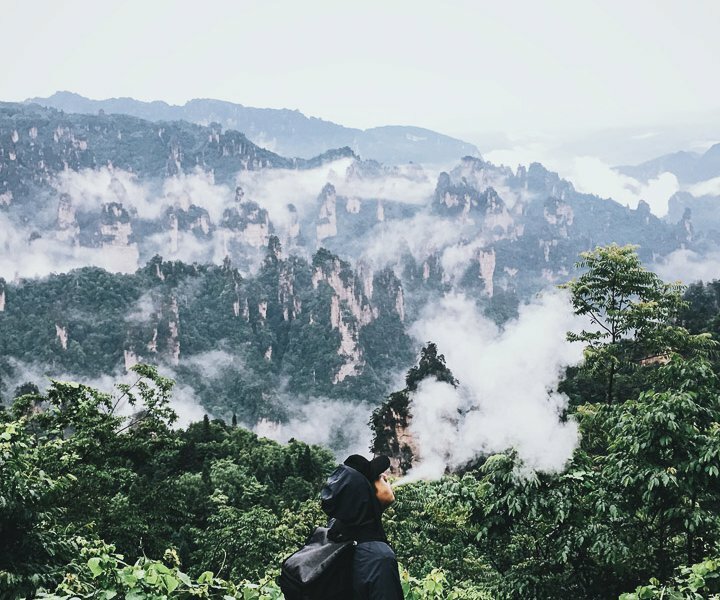 A breathtaking view of the Tianzi Mountians. Cloud painting at the top of the Tianzi Mountain range. Hanging out at the Hallelujah Mountain, which inspired the floating mountains on Pandora in the movie Avatar. 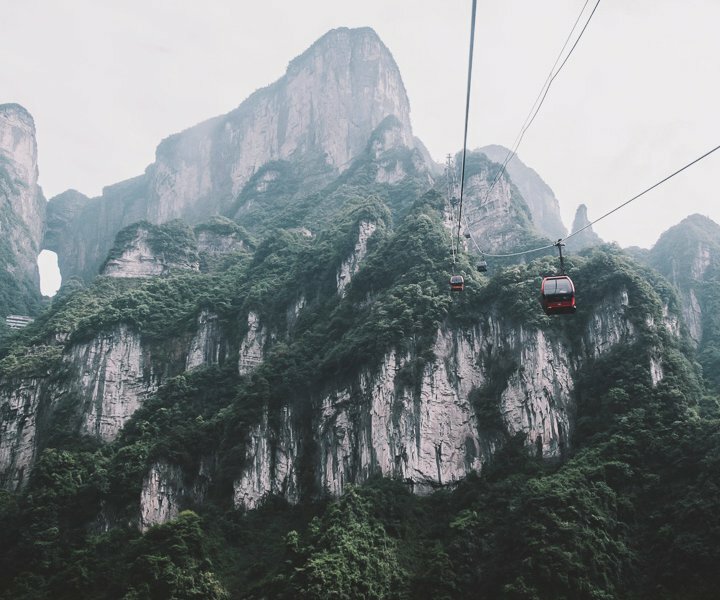 View from the 7km long Tianmen Mountain Cable car, which is Asia’s longest and will take you to the top of Tianmen Mountain Range. 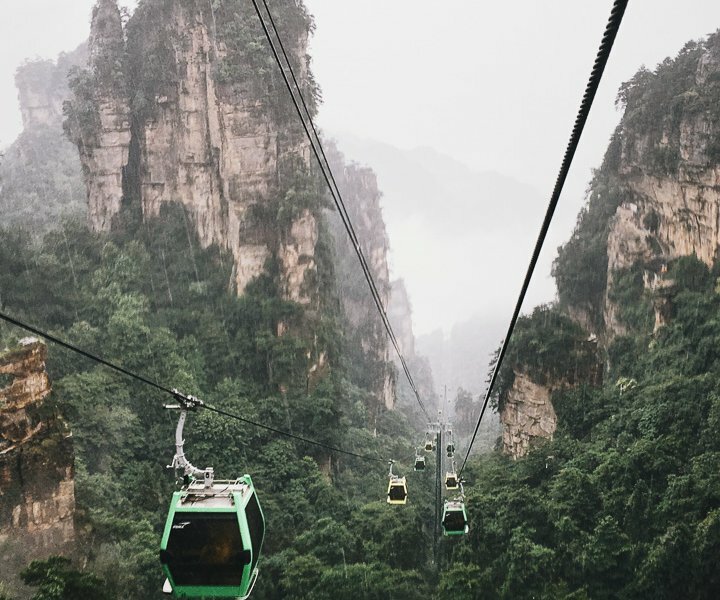 The Tianmen Mountain Range is a distinct landmark that is visible anywhere in the city of Zhangjiajie. 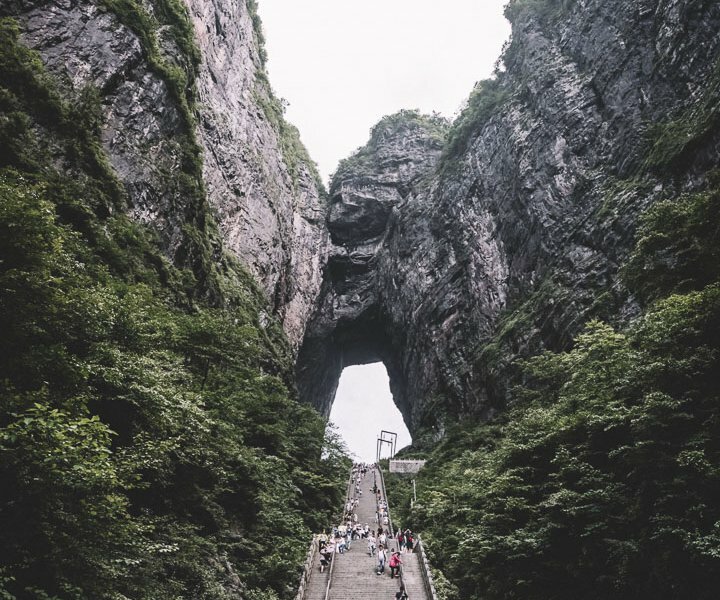 It features a keyhole cut through known as “Tianmen Dong,” or Tianmen Cave. 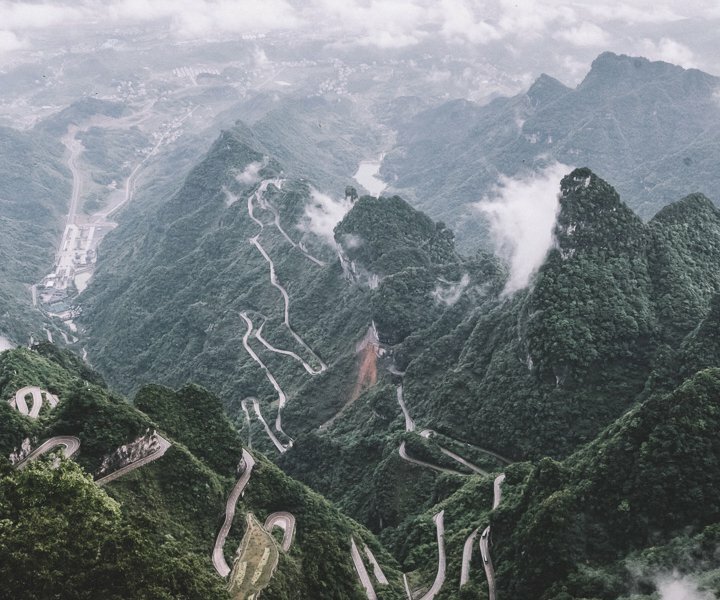 Looking down at the twisting mountain roads from the Tianmen Mountain cable car. 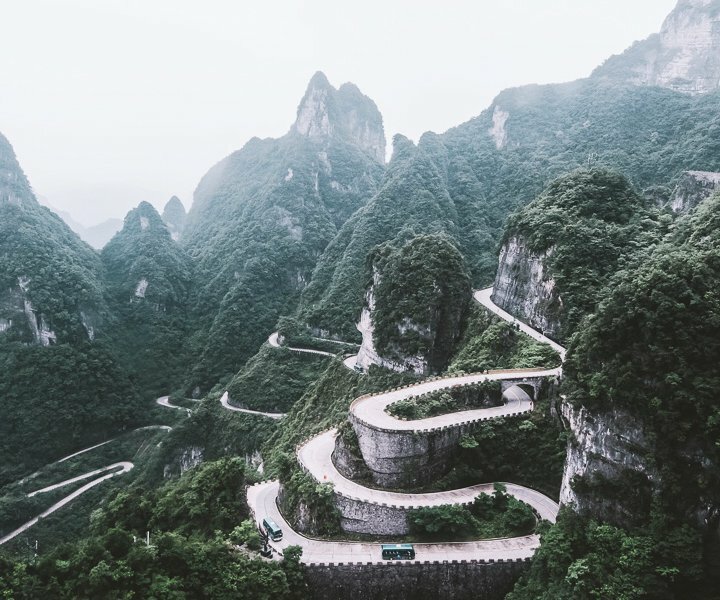 The view from the top of Tianmen Mountain, offering an unobstructed view of the road called “99-bends: as well as the city of Zhangjiajie beyond. Up close at “Tianmen Dong” (or Tianmen Cave), a distinct feature of the Tianmen Mountains. Mountain houses seen along the scenic route back and forth to the Tianmen Mountains. Vivien is an architect and a photographer (and one of Fathom's 24 best photographers 2016!) based in Hong Kong. You can follow her on Instagram, Facebook, and Tumblr. She travels for the new horizons and experiences to inspire future design and photographic work.